August Income was pretty standard, nothing much made in the way of side hustles or anything like that, although I’ve got a friend who’s considering building a WordPress site, so there’s some potential for me to help him there and make a little side money. 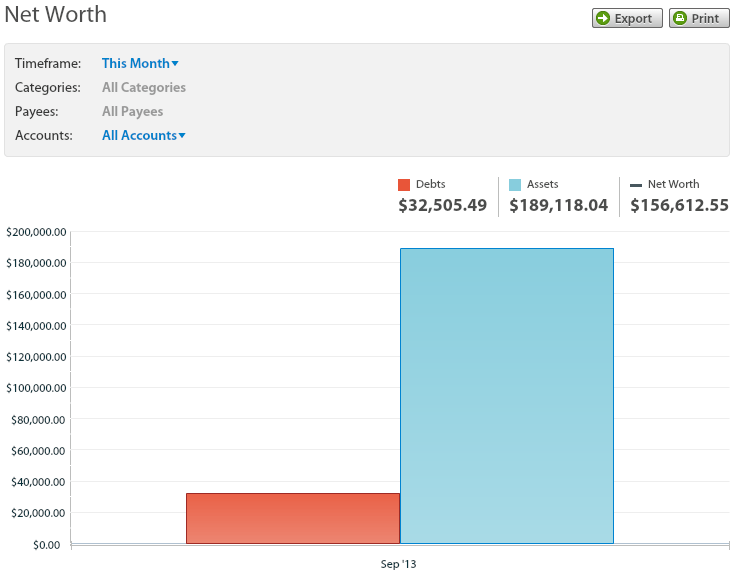 August Expenses were solid overall, though it looks like we overspent. We had a bonus in late July that allowed us to add $1200 to our mortgage in August, so it’s a bit misleading. If you take a look at July’s report you’ll see what I mean. My 401k is down at the moment, about $2500 lower than last month at $59,894. Like the charts? Interested in trying YouNeedABudget for your budget tracking needs? Read my review here, I use it daily and highly recommend it!